I recently was asked to make a little baby girl for a baby shower and this is what I came up with, it is based on a design by Dylan Gelinas so I have him to thank for this. 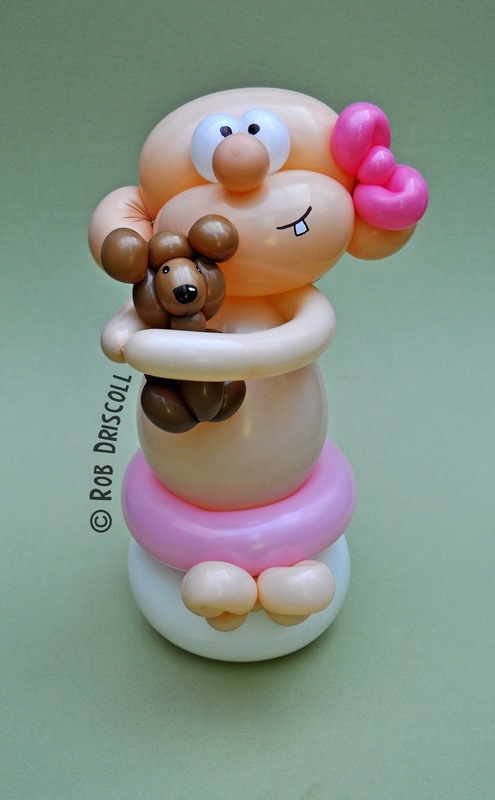 The baby (and her bear) is made from 9 balloons, a mixture of sizes, 160s, 260s, 350s and a blush 5" round balloon. When I returned home from dropping her off I got great delight in telling people I just delivered a baby.